The Tillotson shelter in storage at Garland Mill in Lancaster is slated to be moved to Pittsburg in early November. 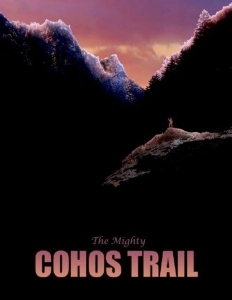 We’re appealing for a few mighty Cohos Trail fans to join us for an hour or two on Friday, November 4th at 2 p.m. at the Garland Mill on Garland Road to help load the timbers (with the aid of a forklift) onto a trailer. 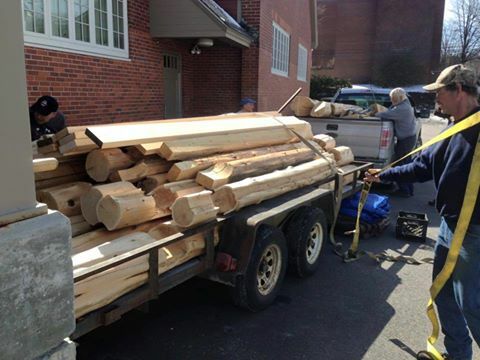 But the next day, Saturday, November 5th, is the day when we’ll need some 20 sets of hands to help us move timbers (with the aid of an ATV) from Route 3 to the shelter site in northern Pittsburg. The meeting time in the far north will be 9 a.m. The rendezvous point will be some three miles north of Young’s Store at Happy Corner. Travel past Young’s, past West Bay at First Connecticut Lake, and past Camp Otter Road (on right). Once beyond Camp Otter Road, the highway begins to climb a hill and passes into the Connecticut Lakes State Forest (big sign at the boundary). At the very top of the hill is a pullout on the right where the Bog Bridge Trail and the Round Pond Brook Trail intersect. You may park there. Or, several hundred feet south is an indistinct pull-in on the left into a small field. We will likely have the timbers there. You may pull into that field. It is our hope that we can move the timbers into the shelter site on the Round Pond Brook Trail not too terribly far away on that day. Most of the timbers can be managed fairly easily, but a few a very large and heavy and will need the mechanized assist much of the way. So mark your calendar, folks. Come help us begin the process of creating something wonderful for northern Coos County. 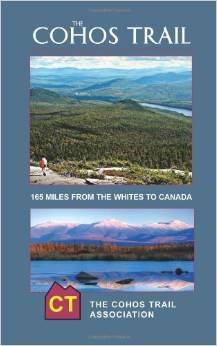 Join us in our effort to give something back to the communities of NH’s far north. Bring gloves, water, a snack or lunch, and a smile.SHARE THIS POST.